The two-dimensional MoS2 coatings with incomplete head triangles, triangular stars and six-blade stars domain shape have been grown by the CVD method on SiO2/Si and Si substrates and then doped with nitrogen. The shape of MoS2 domains showed remarkable changes after N2 doping. Doping dramatically changed the physical properties of MoS2 coatings. 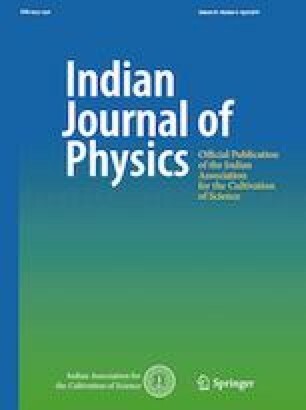 An accurate study was carried out on the prepared MoS2 thin films using optical microscopy, atomic force microscopy (AFM), X-ray diffraction (XRD) and Raman spectroscopy. The X-ray spectrum showed well-defined MoS2 coatings with a strong (103) preferred orientation of a typical hexagonal structure. There were no changes in crystallographic orientations after nitrogen doping, while the peak intensity declined. Raman spectroscopy specified that MoS2 multilayer was proved by Raman frequency difference between two characteristic modes (E 2g 1 and A1g). The position and intensity of Raman modes exhibited sensitivity to nitrogen doping. The AFM results indicated topography and roughness variations with nitrogen doping. We thank to the Department of Physics Science and Research Branch Islamic Azad University, Tehran, Iran. This study was not funded. The authors declare that they have no conflict of interest.